What’s the difference between Yoga & Pilates? A Physiotherapists Perspective. So what is the difference between Yoga and Pilates? This is a straightforward question which is often asked by our clients but unfortunately it doesn’t have a straightforward answer. With so many different Yoga and Pilates styles and not to mention teachers around, it can be difficult to know which one to do. Even experienced teachers and health clinicians struggle to know the differences. I hope to try to shed some light to this question as I am in the fortunate position of being a musculoskeletal physiotherapist as well as a certified teacher of both disciplines. Yoga and Pilates are often grouped together when discussing different forms of exercises. This makes sense as they are closer in nature than, for example, running or lifting weights. They can both be performed on a mat with very little or no equipment and they could both be suitable for people new to exercise who want to start somewhere. Breath work and awareness is important both in Pilates and yoga although the specifics do vary. When looking more closely at the moves used in each discipline, there is some overlap although the names used to ‘label’ the exercise can be different. For example, ‘the plank’ in yoga is referred to ‘leg pull prone’ in Pilates and the yoga ‘plough’ and ‘shoulder stand’ look very much like positions within ‘boomerang’ and ‘control balance’ taken from the classic Pilates mat work exercises. Pieces of large and small equipment are often incorporated into a Pilates workout. Perhaps the most familiar pieces are the Reformer and the Magic Circle, both based on original designs from Joseph Pilates himself. Some yoga styles freely use yoga bricks, blocks, belts, bolsters or chairs incorporated into the session. In both of these disciplines, the equipment can help to modify, challenge or accentuate different elements of the exercise/ pose. The final similarity which is unique to Life Fit Wellness, is that the matwork Pilates and certain yoga classes are taught by qualified musculoskeletal physiotherapists. This means that your teacher will have a comprehensive understanding of the human body, adding a further advantageous dimension to the class. Prior to beginning your matwork Pilates or physio-led yoga class, you get to spend time individually with the clinician in a personal one to one session.This session is a great opportunity for you to discuss your personal goals and ask any questions to the physiotherapist who will also gather key information, observe your movements and identify what you might need to focus on to make the most of your classes. The history and key principles are where these disciplines begin to differ. Pilates is very much the new kid on the block compared to yoga! It was founded by Joseph Pilates who called his original 34 mat work exercises Controlology. Since his death just over 50 years ago, a number of schools of Pilates continued his work and legacy developing in slightly different ways which is why there is so much variety to this day. The original six Pilates principles are concentration, control, centre, flow, precision, and breathing. Pilates is known for working your ‘core’ or midsection of your body, Mr. Pilates referred to this as your Powerhouse. Modern developments and clinical studies mean Pilates is now often incorporated into rehabilitation, particularly of back pain. 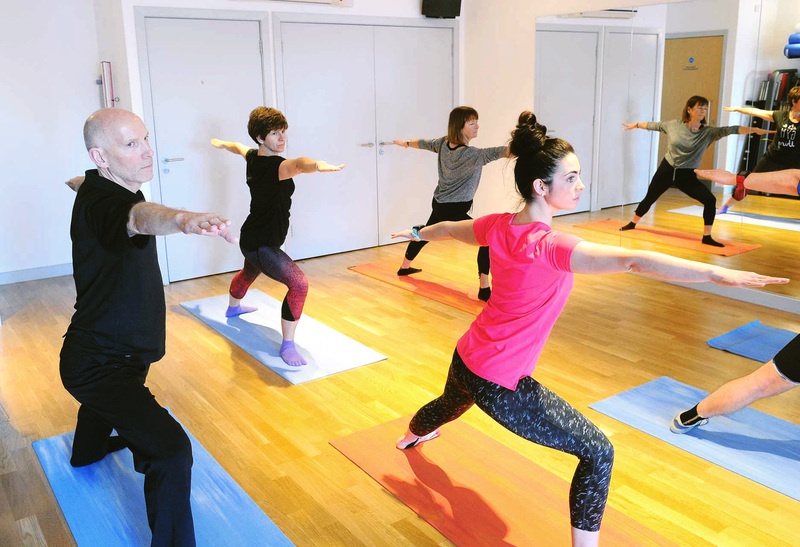 Myself and my physiotherapy colleagues at LFW teach a form of Pilates which has been developed by the Australian Physiotherapy and Pilates Institute (APPI) with a clinical view in mind. This style is designed to relate the original Pilates movements to modern day physiotherapy practice and research knowledge. 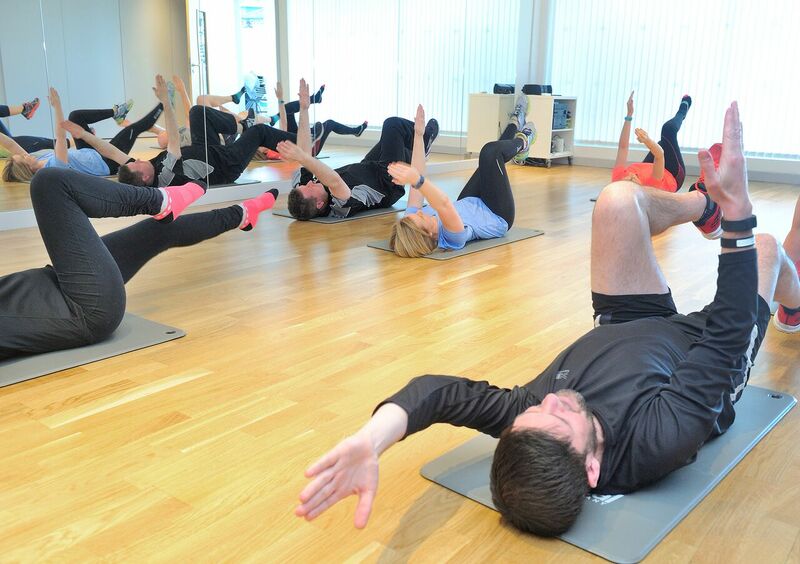 For our students at LFW, it means we can use the Pilates method to help develop their core and posture, whilst helping preventing conditions such as back pain. Researchers think yoga can be dated back to around 10 000 years ago, with the key text which explains the system, Patangali’s Yoga Sutras dating back to 7 000 years. Within this text, the 8 limbs of yoga are described and begin with qualities to be nurtured for the aspiring Yogi (yama & nyama) which include non-violence, truthfulness, non-possessiveness, cleanliness and being content with what you have. The third limb is Āsana which literally means sitting posture or seat but also describes the yoga poses which are mainly used in class. The fourth is Prāṇāyāma which are breathing exercises and the last 3 limbs relate to meditation and the ‘higher goals’ of yoga.Yoga boasts certain health benefits such as aiding digestion, helping sleep and reducing stress. In practice, most yoga classes will focus on a variety of postures which strengthen and stretch the body and include a relaxation/ meditation. As you can imagine, there is a huge variety of yoga styles from those which focus on static postures (Hatha) to those which are more flowing (Vinyasa flow) or spiritual (Kundalini). Here at LFW, the yoga we teach is based around Hatha style which in my opinion is safer as time is taken to explore each pose, rather than rushing between postures. Taking back pain as an example, I find that Pilates can be especially good for those with this condition, especially in the relative early stages. You can check with your physiotherapist when and which exercises you can be doing safely given each incident of back pain can be different. Continuing with the same example, Yoga could be used for the later stages of the condition when stiffness in the back and hamstrings is a key symptom. Care should be taken with certain postures such as forward bends when nerve symptoms (sciatica) are present. Certain yoga postures can have a higher potential for injury as they can be far from what the body is used to, for example upside down postures such as head stand.This is why it is wise to ensure your practitioner is qualified and knows how to deal with any medical or musculoskeletal issues you have. Pilates and yoga are both great forms of exercise with overlapping benefits. They both explore the body and how it moves. You are likely to learn about your body’s strengths, weaknesses and postural habits thus developing body awareness from an experienced teacher in either discipline. Your personal preference and perhaps even simple logistics will be an important factor to choose which one you will use.Our experienced and knowledgeable teaching team of practitioners at Life Fit wellness will be happy to help if you have any questions (straightforward or not!) or would like to find out more about either yoga or Pilates.